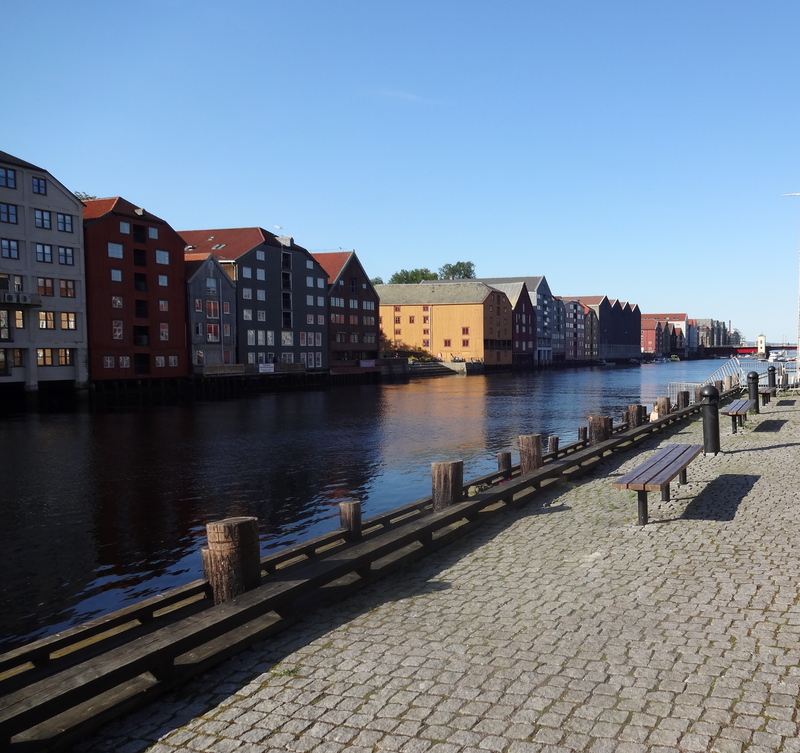 I’m back from a great trip to Trondheim, Norway, the furthest north I’ve ever been. The unexpected cancelled flights and lost luggage of the first days were more than made up for by stellar weather, a picturesque Nordic town, forested vistas and long hikes. Trondheimsfjord, seen from the Lade Walk. We found a retro pub by the river, right next to the Old Bridge, a book lined den of live music, readings and conversation. Inside the Antikvarietat on the Verftsgate. The front part had snacks, cakes and light dishes, but the rear bar had a fairly extensive of Norwegian artisanal beers. I tried one, an India Pale Ale by Fyr & Flamme. And a bit of Linie Aquavit, that Norwegian spirit that is only sold once it has been sent on a ship in oak sherry casks from Norway to Australia and back, thus crossing the ‘line’ of the equator. I had my first taste of Linie back in my early twenties, and none since – it tastes just as good as I remember. Don’t know why we don’t have it more often. Potato-based and flavored with caraway, this particular aquavit has a nice richness compared to the others we tried on the trip, which were (for me) basically just strong shots of liquor. I’m open to being told otherwise. 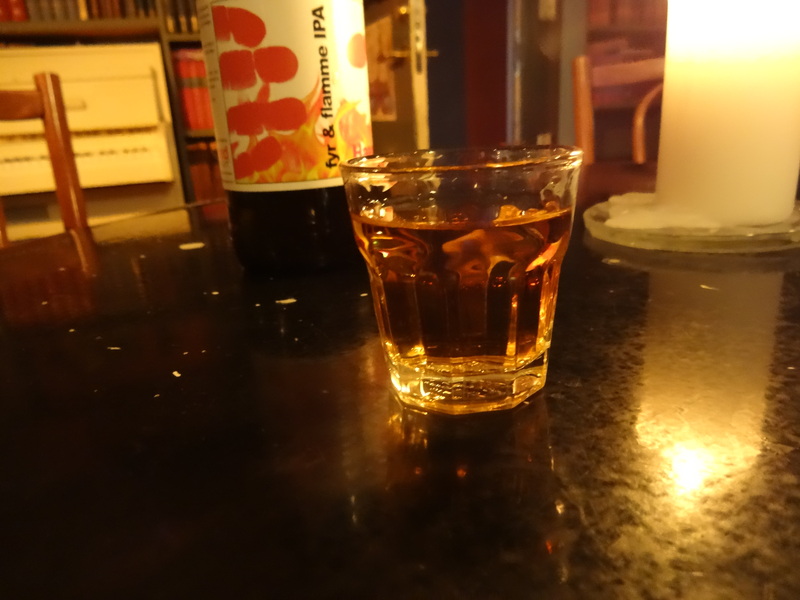 Fyr & Flamme, Linie Aquavit. 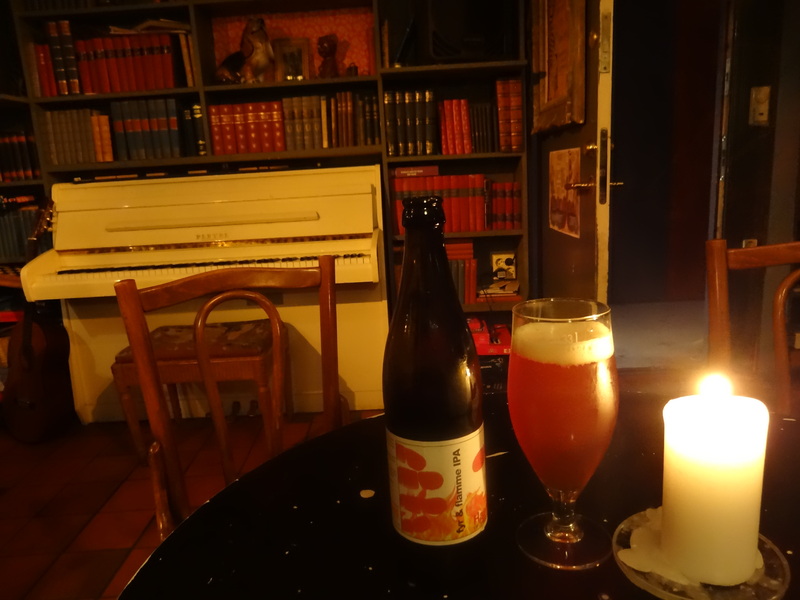 Now, I know I usually focus on champagne and whisky, and truly, I am not much of a beer drinker, but the Fyr & Flamme (“Fire & Flame’) IPA was a fine drink by any measure. It was like a foamy, rich, malty glass of liquified pine forest. So much flavor, so varied and complex and herbal. Apparently, three different hops are imported from the USA to make this beer, so I suppose it’s not entirely ‘local’. And while I won’t be giving up my champagne any time soon, I would be open to other kinds of bubbly like this IPA. Good whiskies and champagnes were available at some of the bars and restaurants we visited, but at prices so astronomical that it was a bit off-putting. 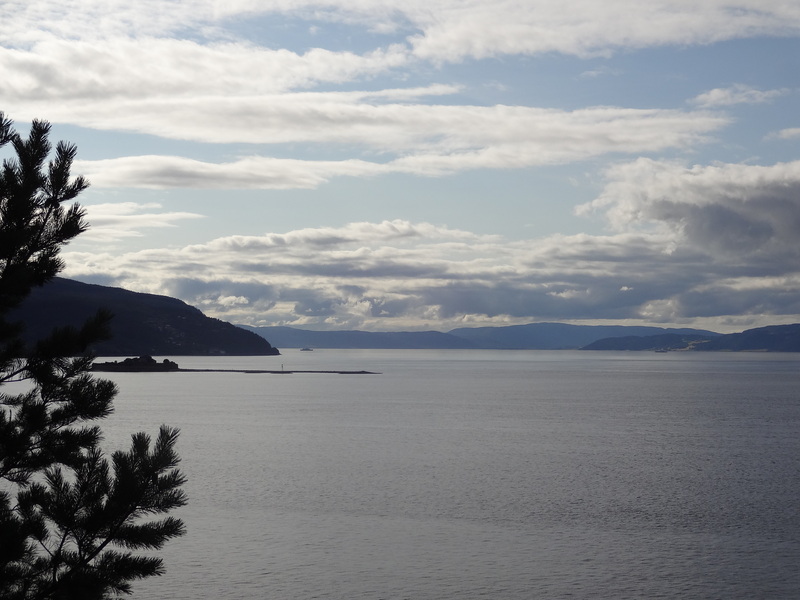 I wasn’t able to locate any locally-produced whisky – I’d be interested to hear from anyone who knows something about Norwegian whisky production. The Arctic Circle is only 500 km to the north, but we didn’t have time to cross that line on this trip. Ideally, I’d like to hop on a boat and head up through the Lofoten Islands and then northwards. After this visit, I am sure we’ll be back for more. And I’ll be writing more about it this week. The banks of the Nidelva.